The smallholding year started again this weekend. 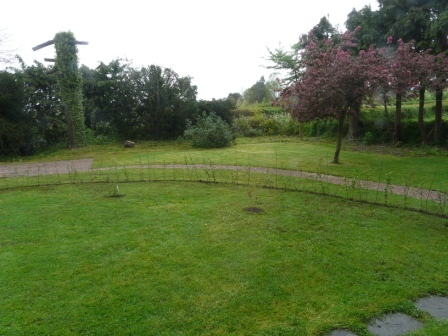 There’s been a lot of digging, not least in order to plant a new hedge – sixty plants of ten different species – in our solid clay soil. 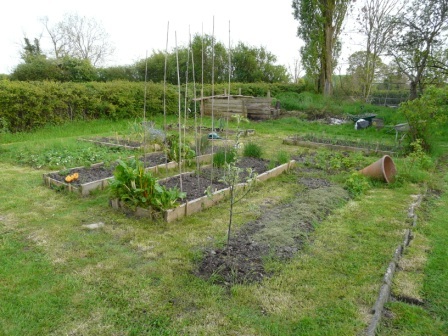 The vegetable garden has been given an overhaul and we’ve got onions and garlic coming along nicely, along with some new potatoes and peas growing. Remaining beds await beans and sweetcorn. And finally the first livestock arrived. 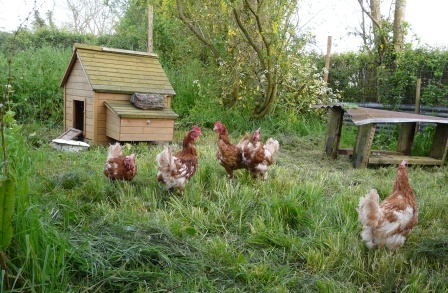 We collected the birds from Naite Farm in Oldbury, suppliers of free-range eggs to Waitrose and all the local farm shops. Five lucky hens have escaped a one-way ticket to ‘depletion’ which I think is the polite way of saying ‘pet food’. They look pretty manky as they are all moulting and shedding feathers, however on their first day here they produced three delicious eggs which we scoffed with asparagus and swiss chard from the garden. Yum.